The knobbly-knuckled Guatemalan landscape, with its plethora of cocoa bushes, coffee trees and macadamia nut plantations is giving me cravings for a big slab of chocolate cake, crumbly and dusted in cocoa-powder, with a hint of chilli-powder. I consider this to be the baked epitome of Guatemala, and make a mental note to try and create it when I eventually return home. Our minibus zigzags along the Carretera Jacobo Arbenz Guzman highway towards our next destination – Honduras – and I am taking a few minutes to absorb the world outside my window, and reflect upon my experiences of Guatemala. What had I learned? What will I take away from it? More than cake ideas, surely? In many senses I regret that I didn’t see more of it. I can already hear my peers, “You went to Guatemala, and you didn’t see Tikal? 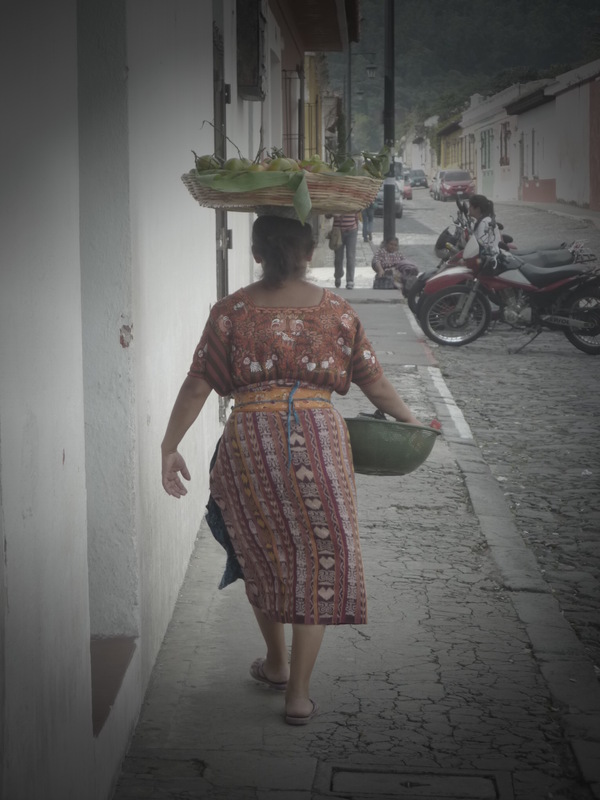 !” Unfortunately, time had only allowed for me to be in Guatemala for two days – in Antigua, a colonial capital during the Spanish empire which, with its quaint cobbled streets, volcanic views, and colourful splashes is now a World Heritage site in itself. Despite the limitations of time, I was determined to get a true feel of the country. No sooner had I slammed my bags down in the hostel, gulped down a Malaria tablet and changed into something more suited to the Central American heat, I was hitting the streets to see what this country about which I knew so little had to offer. I firmly believe that the simple ‘stroll and observe’ technique is the best way to experience a place in its truest form, especially when time is finite. Tourist attractions remain just that, overly-documented wonders which, whilst always worth seeing, often dress a place up in flimsy attire designed purely for visitors. 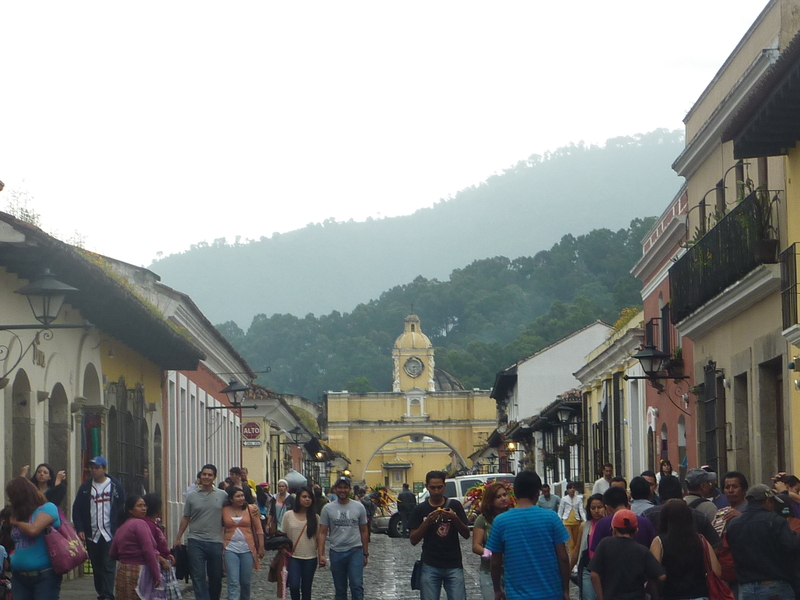 I prefer to observe the things I cannot as easily read about, and strolling around Antigua I fulfilled this sentiment. With Volcanes de Fuego looking down on me, intimidating and misty-eyed, I wandered without direction around the cobbled streets. Colourful chicken buses choked alongside me, leaving behind trails of exhaust which formed another ingredient of that salient scent that had assaulted my senses upon arrival – an unusual blend of fruit and smoke. Around me were earthquake-ravaged buildings, some of which had incurred no restoration attempts in three-hundred years. 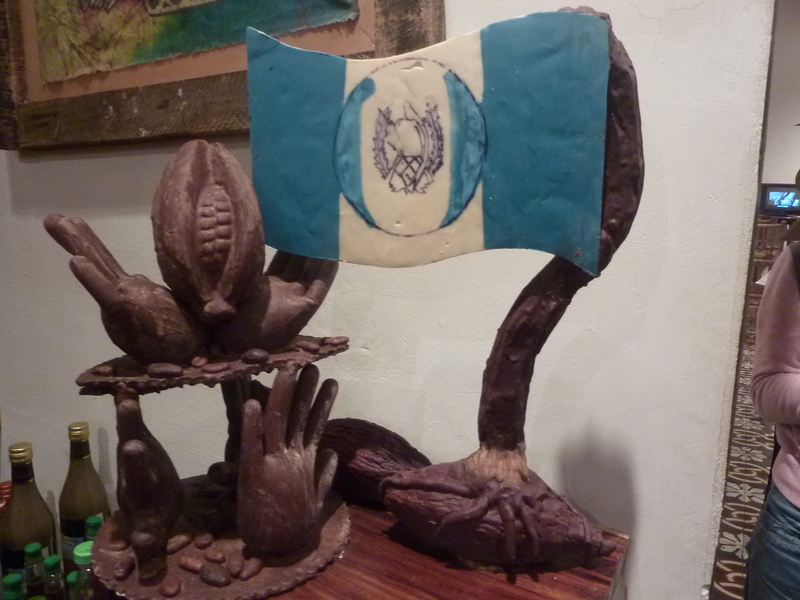 I was not just in present-day Guatemala, but was being swallowed into its past to a marimba-based backing track. A small girl in traditional Guatemalan dress stood near a fountain in Parque Central and tugged at my arm. No older than 4 years, she wanted me to buy a scarf, but I respectfully declined. She returned to her mother who was sat under a nearby verandah and had no legs, shaking her head to signal that the gangling tourist girl said ‘No’. In this vignette I saw my own mother, and her daughter, and what our lives could have been like had we been born elsewhere. 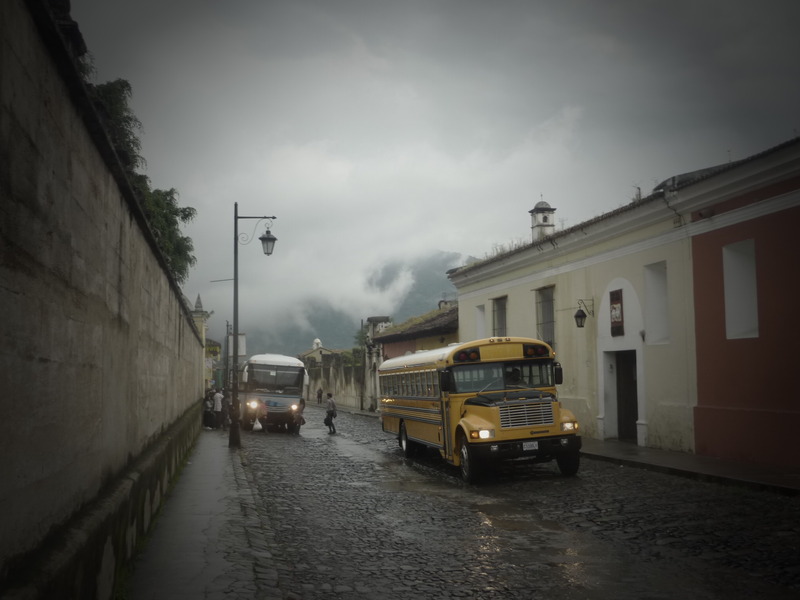 That was Guatemala, and I experienced it.